The bright and sometimes colorful streets of Toronto can become as dark and horrendous as it can get if the darkness takes over. And when that happens, you would not like to be around on any street that can bring all sorts of danger. 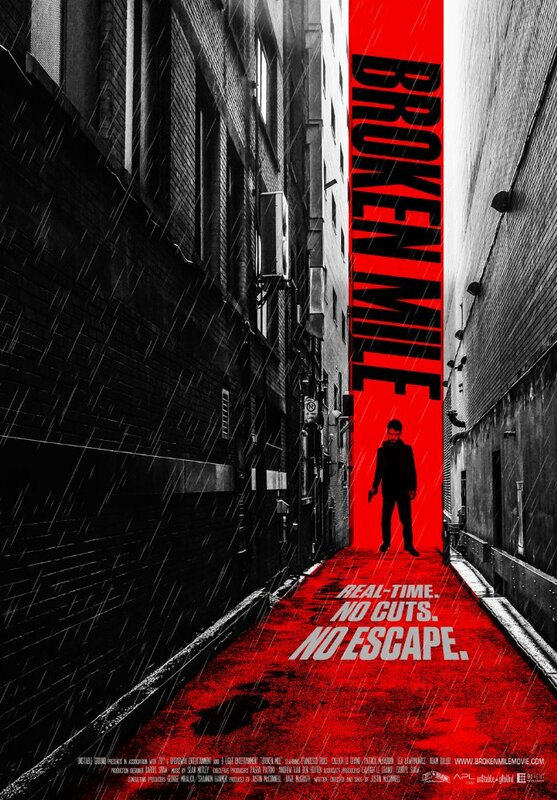 Watching Broken Mile was almost like watching a crime that occurred in real time, where even the interior could speak for itself. Shaun (Francesco Filice) is a drug addict and a young man who one day wakes up in a small room just to find his girlfriend dead. Not knowing how else to handle such an extreme situation, the man rushes to leave the apartment to not face the consequence of any action that happened the night before. Instead of calling the police, he dials the first number that comes to his mind – his ex-girlfriend Amy (Caleigh Le Grand). But having her around at this time means another trouble as an armed man, Kenny (Patrick McFadden) is after him. The long and unbroken scenes continue, for example, when Shaun takes an Uber to drive away from that scary house with the dead body, he continues ignoring whatever the driver says, as he is fully absorbed by his entire world. As that particular scene continues, you see how desperate Shaun is. He probably tries to trace back the events that lead to the death of a young woman, but his emotionally unstable mind does not seem to give him much opportunity to come up with a rational conclusion. My only problem with “Broken Mile” is the character that’s written. All of them were a bit slow, undecisive, and too simple to handle. I could understand that it’s not easy to picture the situation described in the movie and how that could have been handled in a real life, however, its conclusion did not explain many things, rather, raised more questions. But what I liked about the film is the color of the same characters, the style they live with, the night they go through every day, and equally the same relationship. The cinematography that’s also credited to Justin McConnell is outstanding. I barely could recognize the Dundas and Lansdowne intersection. It was a dark, scary and repellent lane I would not like to pass again. Overall, Broken Mile was a solid movie to watch. It was interesting, engaging and was faithful to its pace. Again, character-wise it wasn’t as astonishing as I was expecting, but still delivered what it was intending for a majority of its audience.